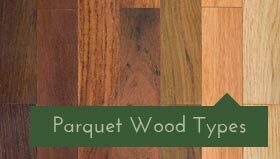 Flooring ideas for reclaimed parquet. Our customer base has really begun to change. There are many young designers and architects thinking about how to use our material in imaginative finishes. 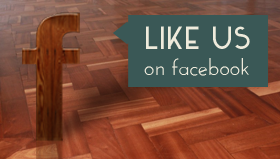 People look for creative inspiration and flooring ideas on social media platforms such as Instagram where ideas flow. 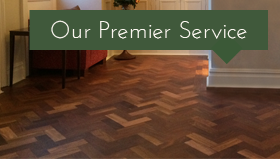 We have supplied reclaimed parquet floors that have been fitted without being sanded at all. 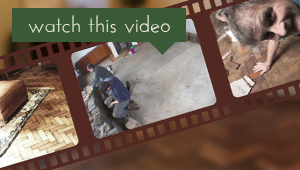 This creates a ‘lived in’, or a random look, like the floors pictured below. 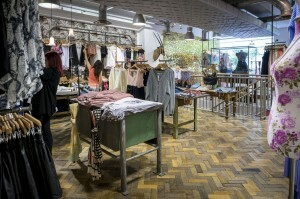 We have a commercial demand for this type of parquet, for use in shops, offices, bars and cinemas. The problem with ‘no-sanding’ is that this requires block which is in excellent condition. Ideally all of it would have been thicknessed so that there are no ‘trips’ between the blocks. This looks cool but is normally costly. The blocks need to be the best condition available. They will require fitting-clean preparation as well as thicknessing before going near the shop floor. 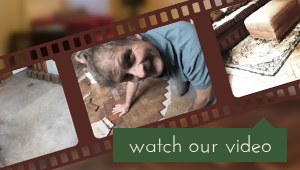 The next option is to sand with caution to get a floor with character. This means using the coarsest grit sanding belts available to remove the worst of the old lacquer and dirt. Then, when you are happy with the ‘look’ of the floor, go on to the next sanding passes using a medium grit, followed by a finer grit and so on. 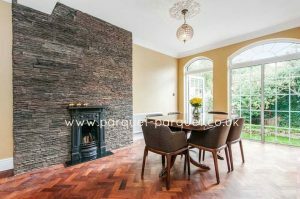 This means that you have stopped removing material and you are at the finishing point in terms of how the floor will look. 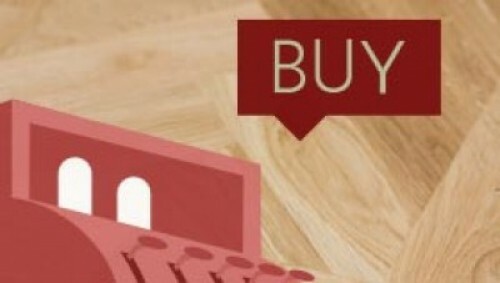 The floor will be more ‘aged’ in appearance. 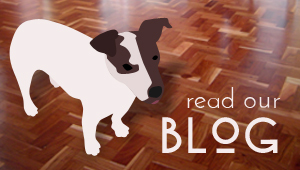 Finish with a matt or satin lacquer or hard-wax oil to seal the floor and keep the ‘worn’ style. This is a clean fresh appearance. 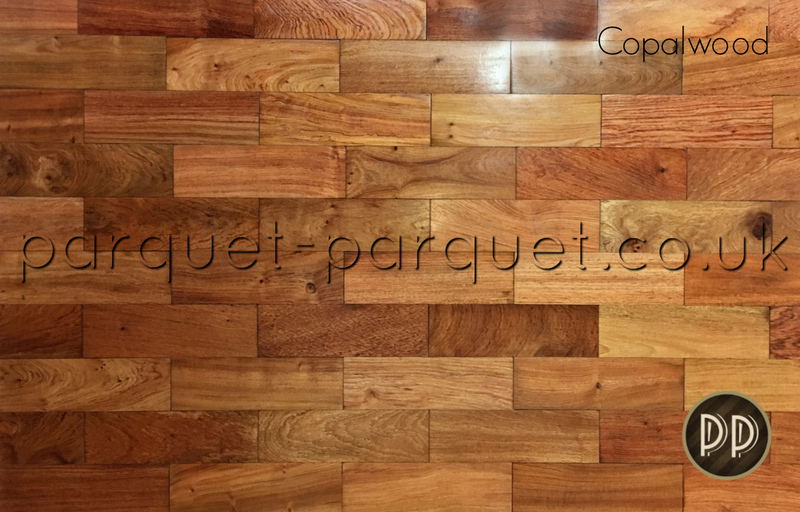 More or less how the parquet would have looked when first installed 50 or 80 years ago. 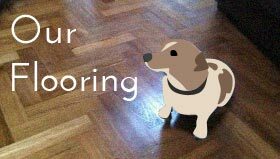 Sanding until nothing of the old coating or dirt is left, produces a neat, pristine floor, despite the material being reclaimed. Lots of people love this style. You can finish it super-glossy, satin or very flat matt lacquer or hard-wax oil. Whichever you decide will make your style statement. 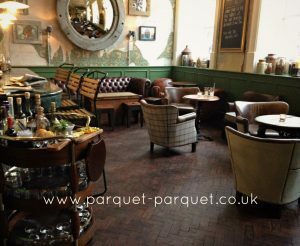 Parquet has always been a quality floor selected due to its hard-wearing properties. 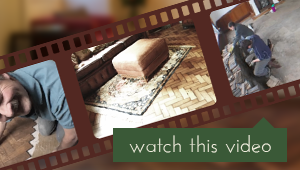 In the past, many of us have sat on a school assembly hall floor, extremely glad it was wood. 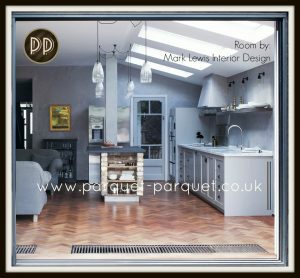 Customers both residential and designers are looking at using parquet in other ways too. On the floor and then continuing it up the walls for example. Making table tops, cupboard doors and work-tops. 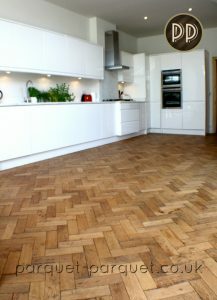 On a serious note, reclaimed parquet is a great option for flooring. We shouldn’t waste timber that has still got a useful life. 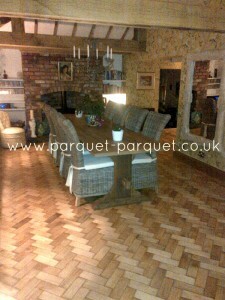 Reclaimed parquet can still have another incarnation. 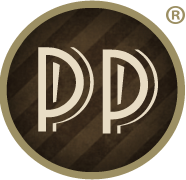 Keep thinking creatively about how to use this fantastic resource. 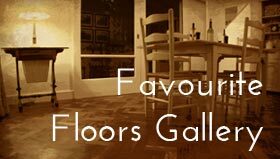 We would be really interested to learn about your flooring ideas.